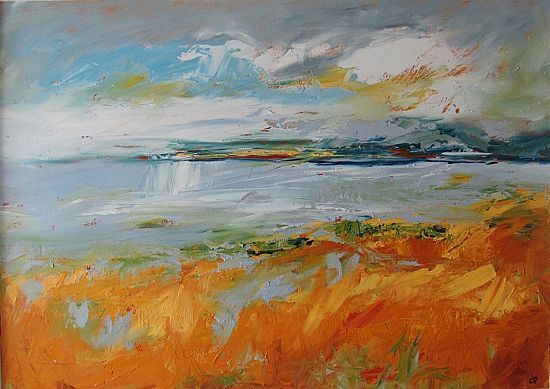 I am Clare Blois, a Scottish artist inspired by the extraordinary landscape and seascape of the Highlands, and by striking images that catch my eye at home and abroad. I am pleased to be part of the new Inverness Creative Academy, where I have studio space in the centre of Inverness. Please contact me if you would like to visit. There is often finished work to be seen, depending on time of year. I exhibit my work in galleries around the country and at Highland events and Art Fairs. Please explore the website to see more of my recent work.